After two days of play in Tunica, the World Series of Poker Circuit event championship is now down to a final table with Paul Wasicka sitting as chip leader with over 400,000. Just 96 players took the felt on Monday, plunking down $5,000 for their chance at WSOP Circuit stardom. The nine remaining players will resume this afternoon and will play for a six-figure payday topping $135,000. 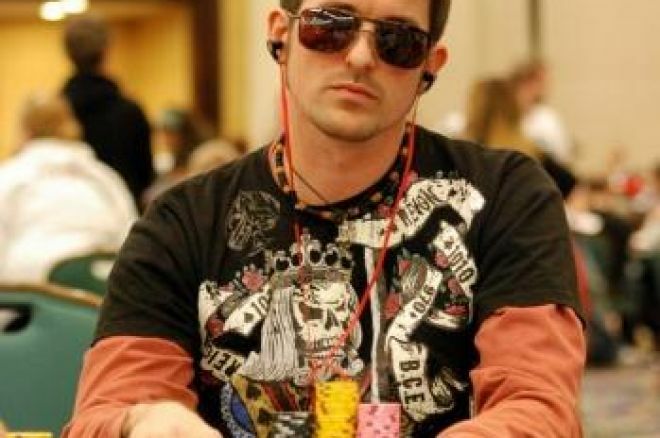 After a great run, which started with his 2006 World Series of Poker Main Event runner-up finish, and was also highlighted by his NBC Heads-Up Championship win in 2007, Wasicka's amazing results have been cut back over the past two years. In what is beginning to look like no coincidence, Wasicka recently started working with mind-set coach Sam Chauhan, whose clients also include Antonio Esfandiari, Josh Arieh and Gavin Smith, all of whom have had solid tournament results since working with Chauhan. "Part of being the best in poker is getting rid of your limiting beliefs," stated Chauhan in a recent press release. "Those are the beliefs that stop one from going forward. Some of the top athletes in the world have mindset coaches. It only makes sense that poker players wanting to take their game to the next level commit to learning various forms of neuro-linguistic programming through hypnosis and physiological reading." Wasicka seems to be having fun as well, saying on his Twitter, "everything is going right, poker is easy when you're hitting hands." Joining Wascika at the final table are Matt "Allin420" Stout, 2009 PokerStars European Poker Tour Barcelona winner Carter Phillips and Dwyte Pilgrim. All the remaining players are in the money; however, there is a significant jump from ninth place's $12,368 to first place's $139,422.